On Monday, Qatar initiated a case against the United Arab Emirates (UAE) at the UN International Court of Justice (ICJ) following the one-year anniversary of the Qatar-Gulf crisis. The government of Qatar argues that the UAE’s behavior is discriminatory and constitutes human rights violations. The UAE has expelled Qatari nationals and prohibited them from entering or passing through the UAE. Furthermore, Emirati nationals were ordered to leave Qatar, which has also been denied access to UAE airspace and seaports. Consequently, “the unlawful measures imposed by UAE have torn apart families, with parents being separated from children and husbands from wives. The families deserve to be reunited,” Qatari Foreign Minister Sheikh Mohammed bin Abdulrahman Al Thani said. Qatar has stated that such severe actions were in violation of the International Convention on the Elimination of All Forms of Racial Discrimination (CERD) of which both Qatar and the UAE are signatories. Qatar requested that the court order the UAE to take steps to comply with its obligations under the CERD, as well as provide compensation and reparation for economic losses associated with the blockade. Also on Monday, Kuwait, Saudi Arabia, and the United Arab Emirates pledged $2.5 billion in aid to Jordan in an effort to improve the country’s economy and stabilize the kingdom amidst sweeping protests. The aid will cover Word Bank loan guarantees, budget support in the form of cash deposits, and finance development projects, all of which the Gulf states are hoping will improve Jordan’s deficit. Ideally, the aid package will push Jordan to construct a new austerity plan that will satisfy both international institutions as well as its citizens. However, this move has seemingly fueled more demonstrations, as protesters argue that they don’t need financial support but instead a system overhaul. Most Jordanians don’t believe an aid package is sufficient enough to solve widespread unemployment that stems from structural economic problems. Additionally, many citizens believe the government needs to reconcile its internal issues before seeking international support, and they worry that there may be conditions on a global scale for accepting the aid. The Kingdom of Morocco suffered two sports-related losses last week. Yemeni government troops backed by Arab Coalition forces began an assault to seize control of the rebel-held Red Sea port city of Hodeidah on Wednesday in an effort to accelerate an end to the country’s three-year war. 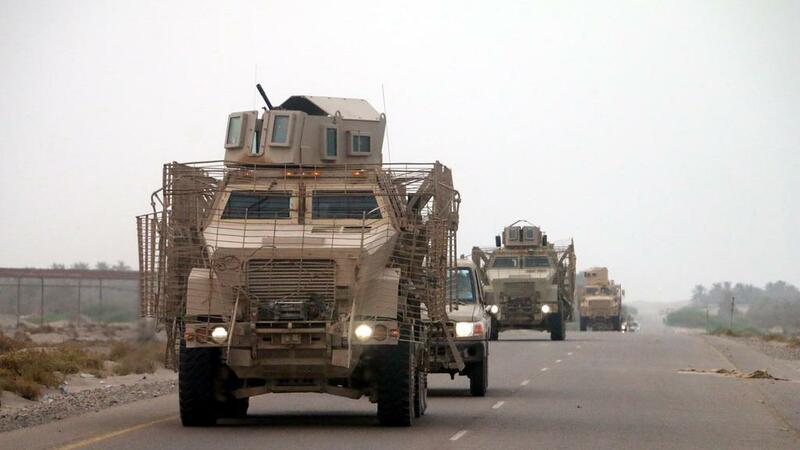 The UAE and Saudi Arabia had warned in recent days of increased military action and it started after a midnight deadline passed for the Iran-backed Houthis to leave the city. The new operation, called Golden Victory, was launched after “exhausting all peaceful and political means,” Yemen’s government said in a statement. The declaration was followed by airstrikes in and around Hoideidah port, hitting Houthi defenses. 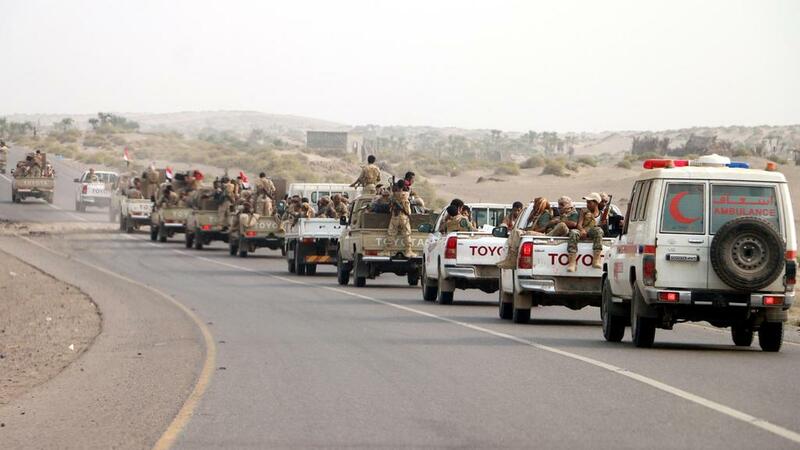 Residents of coastal villages and districts around southern Hodeidah had left their homes ahead of the fighting. The UN and International Committee of the Red Cross said that all parties in Yemen’s war must protect civilians; both organizations pulled their international staff from the city in advance of the assault. Hodeidah’s port handles 80 percent of essential goods coming into Yemen, which the United Nations says is grappling with the world’s worst humanitarian crisis. Some 8.4 million people in Yemen face pre-famine conditions, according to the World Health Organisation. The coalition says the Houthis use the port to smuggle Iranian-supplied weapons into the country and to profit from illegally-sold humanitarian aid. On Wednesday, FIFA (Fédération Internationale de Football Association), which is the international governing body of association football, announced that it had awarded the “United” North American bid the rights to host the football World Cup in 2026 over sole competitor, Morocco. It is the fifth time the North African country has bid for the competition. The ‘United 2026’ bid was selected by 134 FIFA compared to 65 for Morocco. The 2026 tournament will be the biggest World Cup ever held – with 48 teams playing 80 matches over 34 days across the United States, Canada and Mexico. A further blow came on Friday during the 2018 World Cup when the Moroccan national team lost to Iran with an own goal after a substitute Moroccan player inadvertently sent the ball into its own net during overtime. Morocco next faces Portugal while Iran competes against Spain. Also on Wednesday, Saudi Arabia announced a national strategy to serve and support people with disabilities. The strategy includes 23 separate initiatives, such as a national program for the diagnosis and classification of disabilities. Tamader Al-Rammah, Saudi Arabia’s deputy minister of labor and social development, informed the UN Conference of States Parties to the Convention on the Rights of Persons with Disabilities (CRPD) that “This year, a commission for supporting persons with disabilities has been established to act as an umbrella and reference body for keeping track of laws, regulations and policies concerning persons with disabilities, in addition to leading the implementation of action plans, empowerment plans, raising awareness and providing support and counseling.” This national strategy is a key facet of the kingdom’s 2030 vision to empower its people through equal access to jobs and an education. The ministry supervises 38 centers for comprehensive rehabilitation and oversees 347 day-care centers that serve all age groups and disabilities. Jared Kushner, senior adviser to President Trump, and Jason Greenblatt, the president’s peace envoy, plan to ask Gulf states to invest up to $1 billion in Gaza to mollify the ongoing protests and violence during their visit to the region. According to sources, Kushner and Greenblatt will first tackle the shortage of energy throughout the Gaza strip. “This is an issue that is urgent, and at the same time, can be dealt with relatively quickly. The Americans are counting on the Gulf states to help with the money necessary for solving it.” The goal is for these short-term plans to be presented in hopes of creating “a better reality in Gaza, and to showcase success and progress ahead of the presentation of the Trump peace plan.” These include solar energy projects, as well as long-term projects such as desalination plants in northern Sinai to address water insecurity. The specifics of the Trump Administration’s Middle East Peace Plan will be released in the upcoming weeks; however if the administration can secure funding from the Gulf, economic and popular grievances would be addressed, ensuring, in theory, a new chapter in Israeli-Palestinian negotiations. According to the spokesman for Palestinian Authority President Mahmoud Abbas, the American envoys are wasting their time with a new plan to settle the Israel-Palestinian conflict unless they consider previous Arab initiatives to reach peace.